The Arizona Gooners were established back in 2011 and have been growing ever since. We are a loud, fun, inclusive group that loves to see new faces. We have found our exclusive home at the Yucca Tap Room in Tempe.... and they open for every Arsenal match (including those 4:30 AM ones) and boast one of Arizona’s finest craft beer collections. Our Attendance ranges anywhere from 25 to over 200 for matches, and we love to sing loud enough they can hear us across the pond! We hope to see our fellow Gooners at the Yucca for the next Arsenal match soon! Find us on Facebook and follow us on Instagram and Twitter to stay up to date on matches, events, and more. 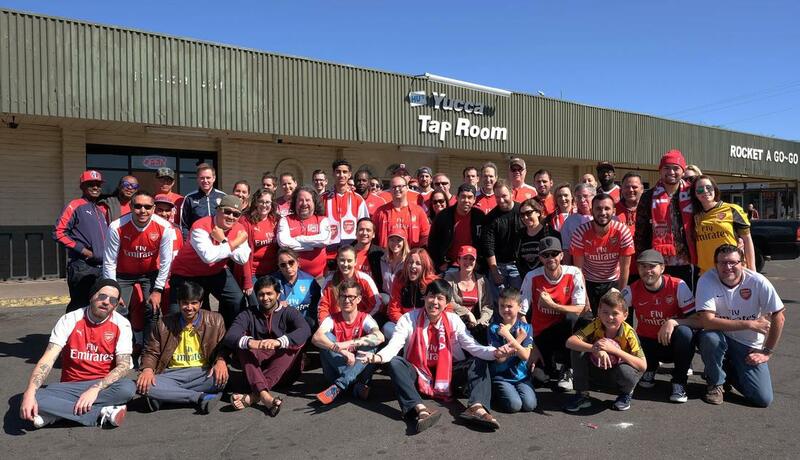 The Arizona Gooners meet for every match, no matter the kick-off time, at the Yucca Tap Room in Tempe, home to an assortment of unique craft beers and spirits.